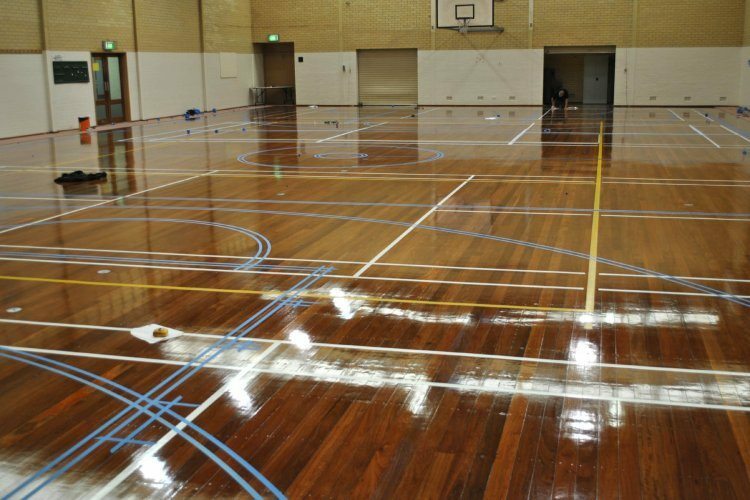 Sherwood Flooring is a leading company in supply, installation, sanding and coating of all types of Commercial Timber Flooring and timber floor refurbishment in Perth and country areas. Working well with architects, builders, government, and the private sector to achieve a high standard of quality and service. At Sherwood Flooring, our commercial timber flooring specialist are employed directly on wages, and they are fully trained and experienced in all aspects of timber flooring. We are therefore able to offer you a complete timber floor refurbishment service, from recoating to line marking, all in-house throughout Perth and country area. It also means we have complete control of your job and can guarantee we’ll finish your project on time. Click here for a FREE quote. For more information about our Commercial Timber Flooring solutions, contact Dave on 0412 187 585.